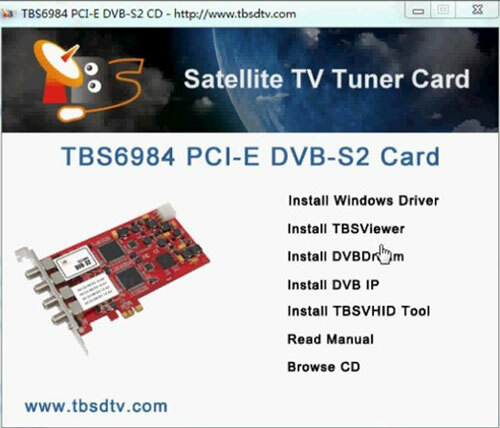 TBS6984 PCI-E DVB-S2 Quad Tuner TV card supports 4 DVB-S2 TV channels receiving synchronously, which enables you to watch channel from one transponder/satellite while recording another 3 channels from another 3 transponders / satellites. Or you can download data from 4 transponders / satellites in the same time. 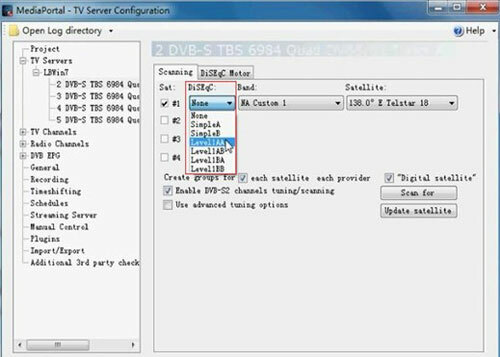 TBS6984 is ideal for building HTPC under Linux MediaPortal, MythTV, VDR, XBMC and Windows 7 Media Center. 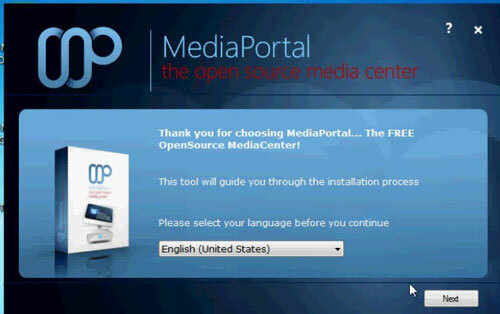 MediaPortal is an open-source media center software project, often considered an alternative to Windows Media Center. 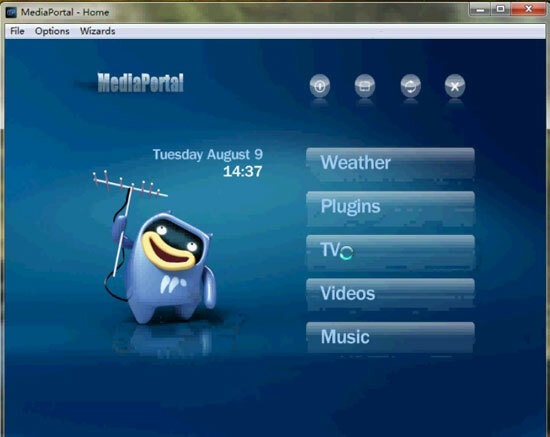 It provides a 10-foot user interface for performing typical PVR/TiVo functionality, including playing, pausing, and recording live TV; playing DVDs, videos, and music; viewing pictures; and other functions. Plugins allow it to perform additional tasks, such as watching online video, listening to music from online services such as Last.fm, and launching other applications such as games. It interfaces with the hardware commonly found in HTPC, such as TV tuners, infrared receivers, and LCD displays. Turn on your computer, and insert the Installation CD into your CD-ROM. 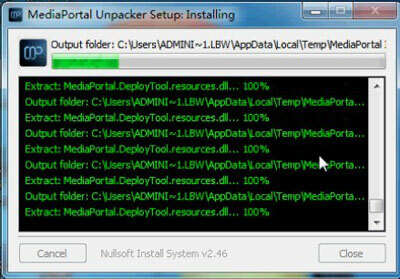 Click “Install Windows Driver” in the popped-out window, and then just click “next” to continue the installation. 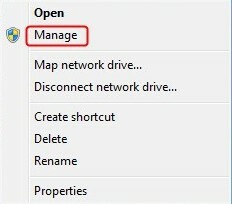 To verify that the driver has been correctly installed, you could right click “Computer” and choose “Manage”. 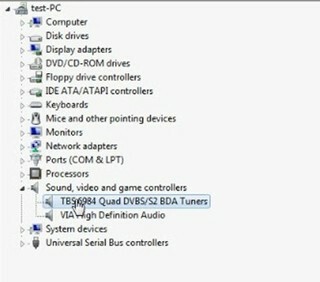 Click on “Device Manager” on the left column, and then click “Sound, video and game controllers” on the right. 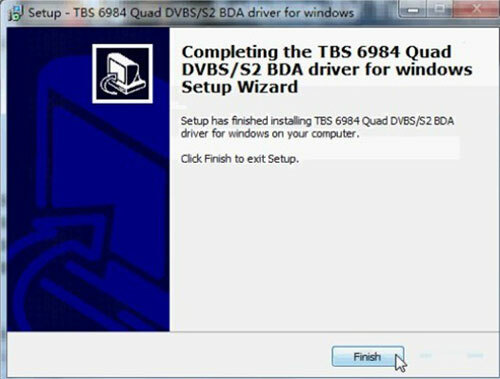 If you can see “TBS6984 Quad DVBS/S2 BDA Tuners”, that means you do have installed driver successfully. 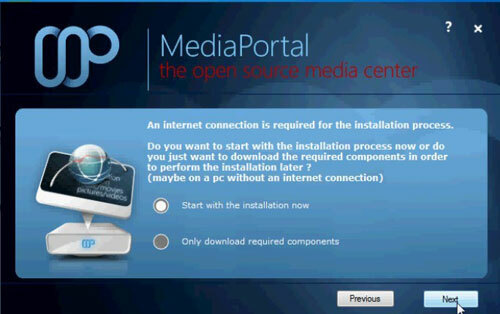 First of all, make sure that your computer meets the requirement of the installation of MediaPortal, such as the windows operating system etc. 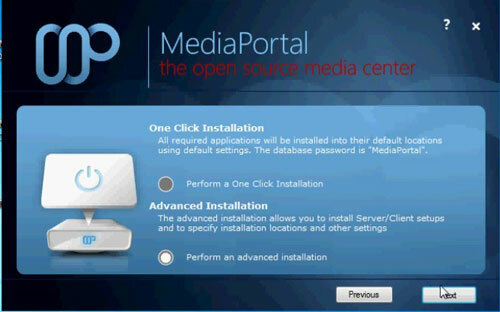 Please note that Mediaportal supports windows operating systems only. Here we take windows 7 for example. Then a MediaPortal window appears. There you can proceed with the installation. After you select your language, you can choose “Start with the installation now” to launch the installation. At the next step, please choose “Yes—I will use MediaPortal to watch TV”. Then you will see the following window. Please choose “Perform an advanced installation” to continue. Please be clear that there is difference in installation between Sever terminal and Client terminal. After you have chosen the installation mode accordingly, click “Next” to continue. Here take server terminal installation for example. At next step, please choose “MySQL 5” and Click “Next”. Proceeding with the installation procedures, and you will come to this step. Here you will be required to download and install many applications almost automatically. But you still need to download and install Windows Media Player 11 manually, if you do not have the software in your PC. This will take a while, so please wait with patience. After all the application is installed, the whole installation process is done. Please click the “Exit” button to finish the installation. After you have installed MediaPortal successfully, there will be several icons on your desktop. Double-click , and a window will pop up to inquiry you whether you want to update relevant information. Please choose “Yes” to update the extension list, and you can see a new window appears. Thus, the updating process is launched. After completion, you can now move on to the next part. 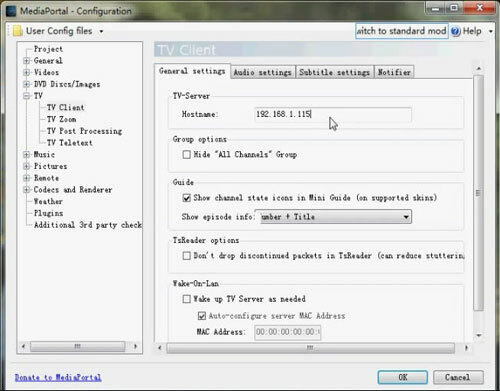 Step 1: Run “TV-Server Configuration” on the desktop and the following window will pop up. 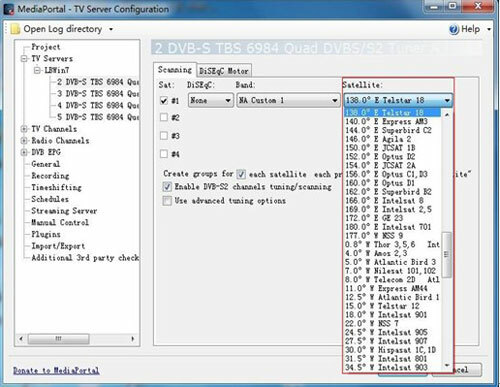 Step 2: Go to “TV Servers”—“LBWin7” on the left column, and then choose relevant tuners you are using. Step 3: If you are using DiSEqC, please select relevant options as follows. Otherwise, please just skip to step4. Step 4: Select the satellite you are aiming at. Step 5: Tick “Use advanced tuning options”, and then select “single transponder” in the column of “Scan type”. Afterwards, please set “Advanced tuning options” including frequency, Symbol rate, and Polarization etc. and “Override default LNB frequencies”. At last, click “Scan for” to scan the TV channels in the frequency. Note: If you want to scan all the TV channels in the satellite transponder, you can just ignore “Use advanced tuning options” and click “Scan for” button directly. Step 6: After scanning is done, please click “TV Channels” in the left column, and then you can see all the scanned channels in a list. Click “Test timeshifting” to enable the channels show up in your TV guide. Step 1: Run “MediaPortal ”, and then enter the “TV” section in the menu. Step 2: Now you can find all the channels that the server terminal has scanned, and you can watch and record TV shows as you like. After setting and scanning on server terminal is done, you can now stream TV channels on your computer. First of all, make sure that you have already installed client terminal on your computer as mentioned above. To stream TV channels, there are only two simple steps. Firstly, click “MediaPortal Configuration”, and then click “TV Client” under the “TV” catalogue in the popped window. Fill in the IP address of the server terminal that you have already set in the “Hostname” column, and click “OK” afterwards. Then click “MediaPortal” icon on your desktop, and enter the TV section. There you can find all the channels that the server terminal has scanned, and you can watch and record TV shows as you like. So far, a client terminal has been built. All the client terminals that are connecting to the server terminal can be seen on the server computer. 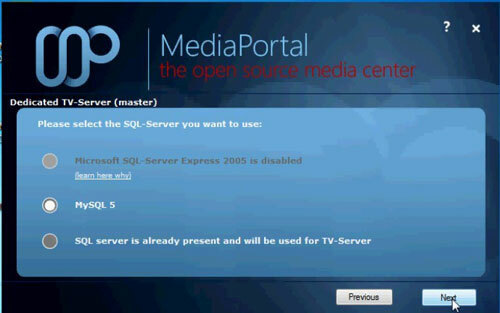 Open “TV Configuration” and click “Streaming Server”. There you can find the detailed information about the clients that are linking with, including their IP address, active status, the channel they are streaming etc.